It's been some time since we have had HTC Sense 5.0 on the market. 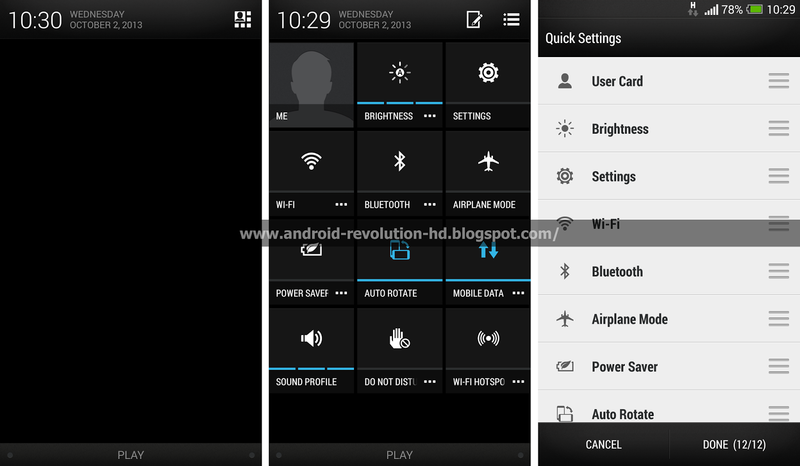 In the past few weeks this, considered by many as the best Android UI, also has been released for HTC One X and HTC One X+. 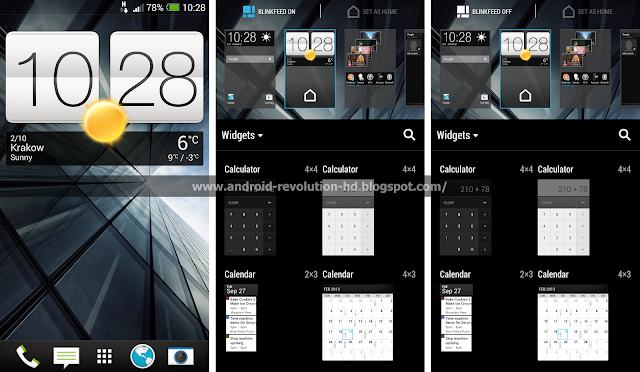 We already know for a few months, that HTC has already been working on the next version of their famous UI - HTC Sense 5.5. Some of the Sense 5.5 features are already present in the latest HTC One Android 4.3 build, however they are currently disabled in the framework. 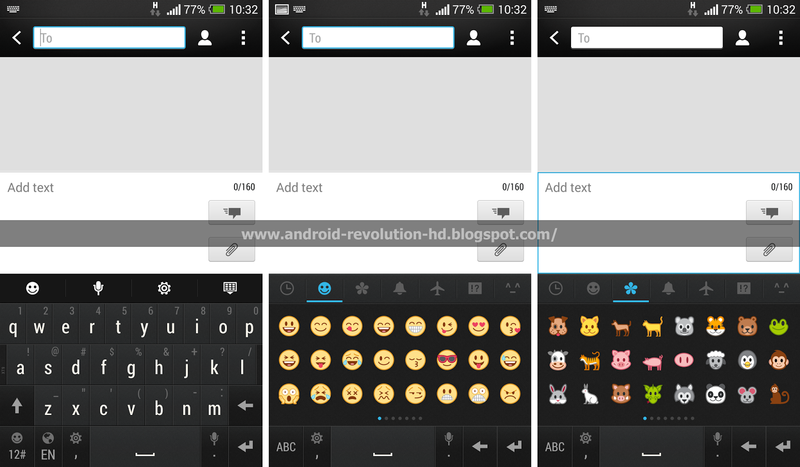 Today, we present to you the first screenshots of the incoming HTC Sense 5.5 interface. If you are going to share this great news, please don't forget to include the source link too! Home screen - now you can disable or enable HTC BlinkFeed easily. Android Quick Settings - now you can re-arrange the content of the QS panel. Improved HTC keyboard with possibility to add more emoticons. 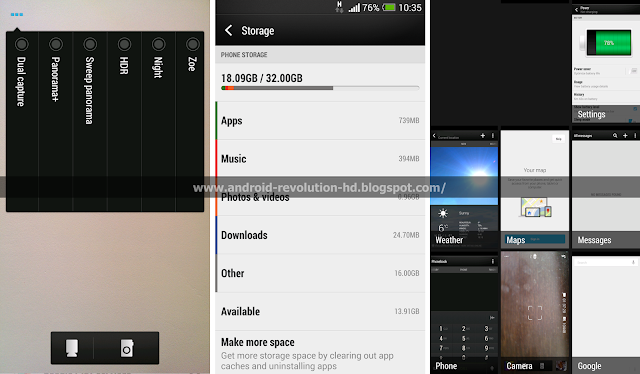 Improved camera - "Dual capture" and "Panorama+", Storage and Recent Apps panel. 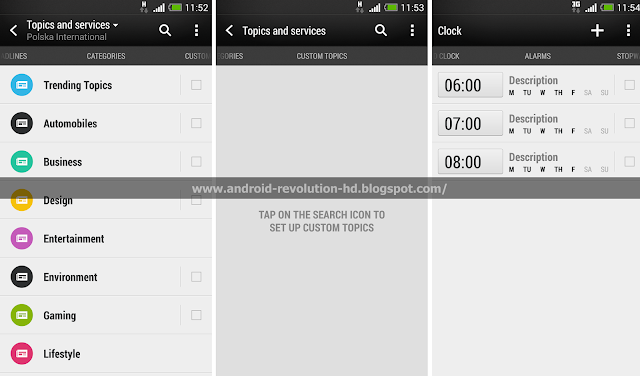 New HTC BlinkFeed categories, custom topics tab and minor changes to alarm clock. Many more changes are of course under the hood, so expect improved performance and overall UI smoothness. Many bugs are also fixed, so the incoming HTC Sense 5.5 should bring a lot of joy for all HTC fans! when GB 4.3 is coming to htc one and Sense 5.5???? 4.3 is already out for the dev edition. If you are carrier locked you will have to wait a while so they can implement their bloatware into it. when FW 4.3 is coming to htc one x and Sense 5.5???? Can't wait! Bring with KitKat v4.4 ;) asap! Tommy, you never know! HTC might release Sense 5.5 for HTC One X but with limited features, like without dual camera mod. disabling BlinkFeed!!!! YES YES YES YES YES YES YES YES!!!!!!!!!! Adding RSS will make it actually useful. Cannot wait to see this in action. Will it b available for Htc One..? I have One nd would love 5.5 update on it! I`m amazed on how most of the people fail to notice this gems in smartphone industry. Yet the only one majority of people sees is overwhelming ads from Samsung and Apple. HTC is truly great and deserves a better attention among the main market. and what about Desire 500? will be available for this phone? Hope this update could fix the purple tint camera issue! Awesome.... KitKat 4.4... Bring it!!!! How about more ZOE video options .. I heard that was coming too...I am talking about the slideshow feature that automatically makes a video of all the pictures and zoes with a background music .. Right now there are 6 options ---namely .... Islandia,Burbia, Eiffel, Vega, Avalon Polaris .. Are there any new additions to that.. Can anyone confirm ? Except for the camera mod, seems like ARHD + Sense 5 Toolbox for HTC One has all of these features/mods included. Even the ones that are being asked for have already made a presence with this ROM. Great job HTC for listening to the community and making this a brilliant phone, with or without root. Did anyone noticed the weather app display has changed. I think that's awesome. Look at the resent apps pictures. HTC HTC HTC!!! Cant wait for it :D My F5 button is broken :D When we will get it :P ? Is there something wrong with my Phone ? When HTC Desire 600 is getting sense 5.5???? ?